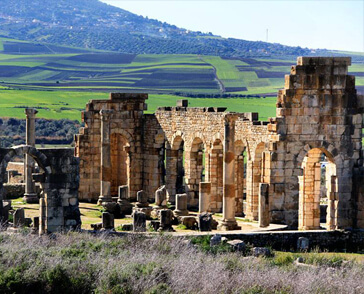 Join us to discover the wonders of the Middle Atlas one day tour from fes. Join Fes Luxury tours for this natural sightseeing excursion to discover the wonders of the Middle Atlas. This presented excursion, will includes fascinating places, villages, as well as cities. Also, if you interested in photography this tour would be the best option, to capture the beauty of the Mountains. Fes luxury tours present this outstanding opportunity to explore the best of the Atlas Mountains in this excursion, our driver will pick you up around 8 in the morning to begin this exquisite journey. 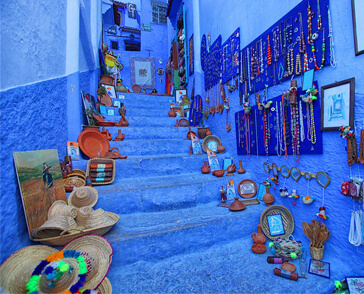 The first stop on our Middle Atlas excursion, will be Sefrou, this outstanding city is well known for its natural views such as its breath taking waterfall, in addition to the architecture of the Old Medina, that conatins pretty much everything, from Food, to traditional clothes, to handmade crafts. This city is known also for its Cherry Festival at the end of the spring or early summer, so if you are lucky, you can witness this charming occasion. Next on our Middle Atlas Excursion, the ride will proceed with 4km towards a Berber Village called “Bhalil”, this village known for cave-like houses, as well as the fresh peaceful atmosphere. You can have break with Moroccan Mint tea with one of the local families (It is optional). Afterwards, on Middle Atlas Excursion, and toward our destination we will pass by several cities and villages, such as Imouzar Du Kandar, in addition to the Kasbah that will offer the chance to enjoy the outstanding view of the Saiss Plateau. We will continue our ride towards Ifrane or the city known as The “Switzerland Of Morocco”, that is well known to be a ski resort in the winter, while in the summer it becomes an escape for a refreshing weather away from the big cities. Before we end of our Middle Atlas Excursion we will have nice and tasty lunch at a restaurant with an outstanding view, and proceed towards Azrou where we will stop at the amazing Cedar forest, to take a small walk and enjoy the quite, and if there is chance you may see the Barbary monkeys. At the end we will pay a visit to Azroun this small Berber village will captivate you with its peaceful atmosphere as well as its good people. Our Middle Atlas Excursion has come to its end, our professional driver will drive you back to your accommodation or hotel, so do not hesitate and join us for a luxurious excursion.